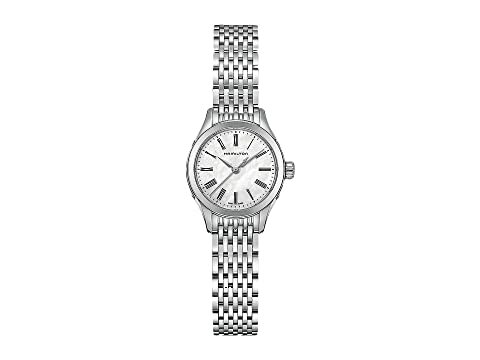 Bring classic elegance to your look with this Hamilton™ Valiant Watch. Three-hand analog display with F04.101 quartz movement. White mother-of-pearl dial includes Roman numeral hour markers with minute track. We can't currently find any similar items for the Valiant - H39251194 by Hamilton. Sorry!